Dirty Dancing assembles new paintings of Michiel Ceulers, Cordula Ditz and David Ostrowski. 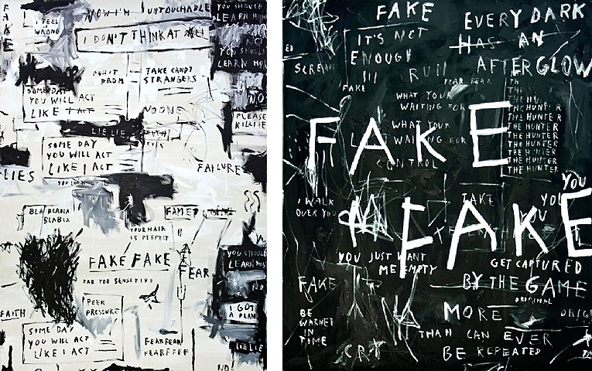 The three artists explore the possibilities of contemporary painting, in a relatively rough, even aggressive way with techniques that include mixing spray with acrylic paint, glueing dirty artefacts on the canvas, including words or phrases, printing of randomly chosen objects or even destroying the canvas with cuts. Figge von Rosen Galerie, Cologne. 24.06.2011 > 27.08.2011.